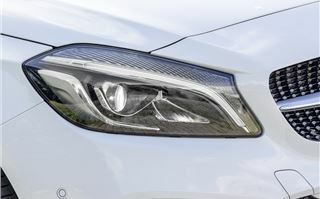 The third-generation Mercedes-Benz A-Class certainly looked the part when it arrived in 2012 – a radical departure from the MPV-like models before it – but it was criticised for an over-firm ride and quality that wasn’t on par with the German premium hatchbacks it now competed squarely against. Those being the Audi A3 and BMW 1 Series. Sorting comfort out is the main theme of this mid-life refresh. As a result, the most significant changes are to the suspension and handling, though there’s now more equipment across the range and it’s slightly more efficient than before - as is always the case with a mid-life revision. From Sport models and upwards there's now a Dynamc Select system that allows the driver to alter the throttle, steering sensitivity and gearshift points in automatic cars. 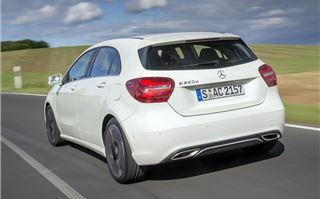 This A-Class 220 d is the most powerful diesel available, for now at least, utilising the same four-cylinder 2.1-litre diesel as the 220 CDI model it replaces but upping power from 170PS to 177PS, while torque remains at 350Nm. You’ll note that it’s no longer badged ‘CDI’, with Mercedes-Benz opting for a simpler ‘d’ designation for its diesels this time around. Only available with a seven-speed automatic transmission, the A220 d returns 67.3mpg and 109g/km CO2, meaning just £20 annual VED, yet it will hit 62mph in 7.5 seconds. 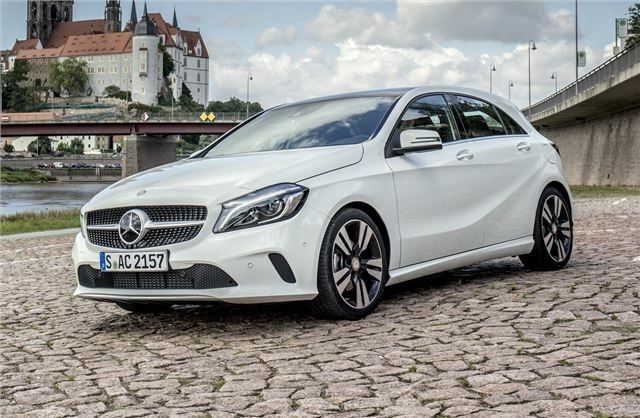 For an additional £1500 you can specify 4MATIC four-wheel drive, but we’d ignore that as it seriously dents economy, dropping it to 58.9mpg with 124g/km. 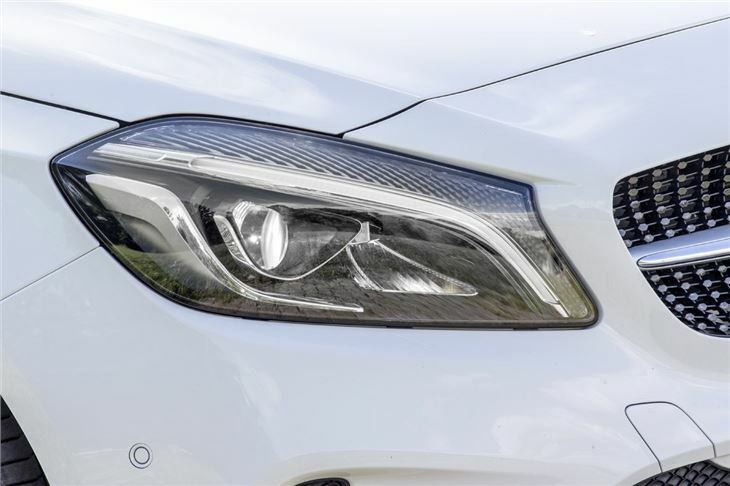 The A220 d feels quick from the off, but the 2.1-litre diesel engine is not one that encourages a high-revving driving style – not least because you’ll quickly tire of the coarse chunter it serves up above 2500rpm. This engine looks good on paper, but it does bash the ears significantly more than the four-cylinder 2.0-litre diesels of the aforementioned Germans. But what about the all-important ride quality? Well, it’s a job half done really, because while things have certainly improved, the A-Class remains a car on the firmer side of the spectrum. 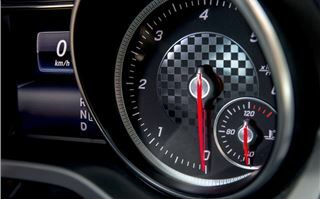 However, to experience the fullness of A-Class ride quality alterations, you must pay £595 for two-way adjustable damping and opt for an AMG Line car or above. 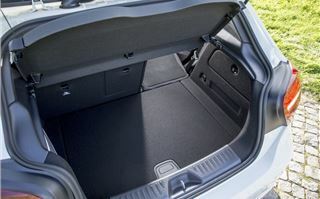 In its Comfort mode the A-Class is softer than ever. It's an excellently unruffled motorway cruiser, yet at lower speed the car still occasionally searches out lumps and bumps, transmitting them harshly through the cabin. That effect is both amplified and more frequent in Sport mode. The saving grace is that the A-Class is a fun thing to drive. The driving position hems you in – the roof is relatively low and the seats in sportier models positively figure-hugging – and it steers with a real sharpness, so it feels accomplished on windier roads. Sadly, it just never feels quite as refined or comfortable as it should do. 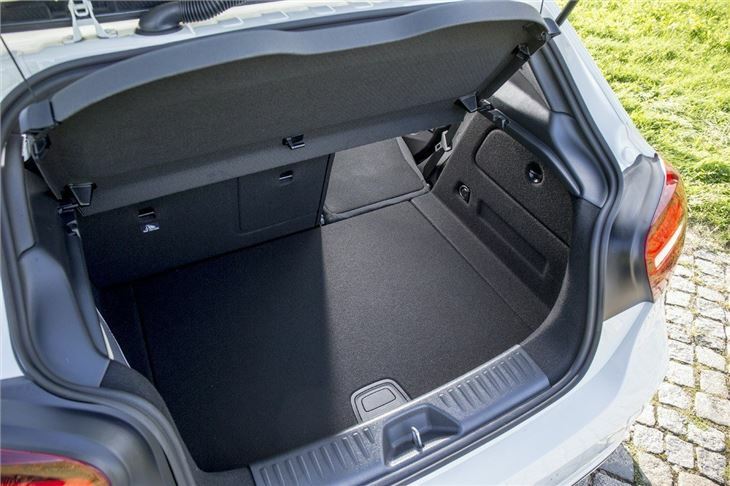 There’s not an abundance of cabin space either while its 341-litre boot capacity is small alongside alternatives. 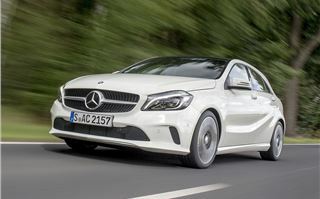 The A-Class styling has been left largely unchanged, inside and out, with only minor tweaks to the grille and light clusters marking out a pre-facelift A-Class from a newer one. Similarly the cabin retains the same basic architecture and ergonomics, though some of the upper level plastics feel slightly heftier. Still, the A-Class still can’t match the class-leading Audi A3 for cabin ambience or quality, with some poor lower-level plastics, an infotainment system that’s clunky to operate plus a dashboard button cluster that already seems distinctly last-generation. It all feels quite average unless you go with the highest trim levels and spec your A-Class to the hilt, in which case you’re looking at a stitched leather dashboard, leather sports seats and a Burmeister stereo – stuff that makes it feel more decadent. The problem is, you’re then staring at a surprisingly high outlay. 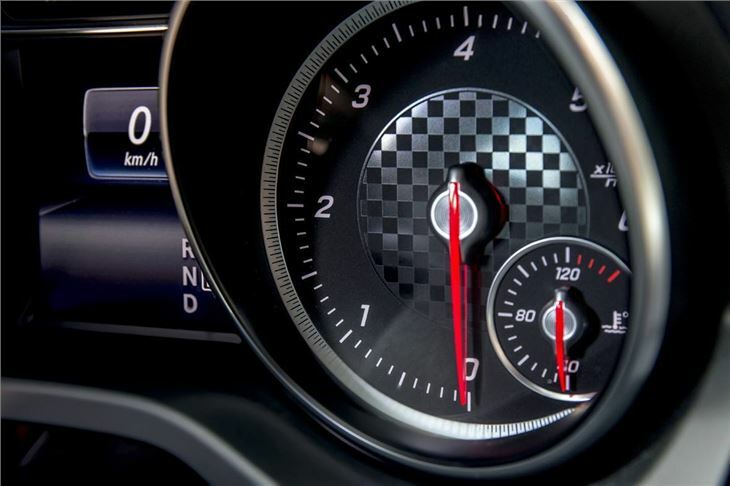 A220 d 4MATIC Motorsport Edition costs £33,000 before you’ve even started ticking boxes. 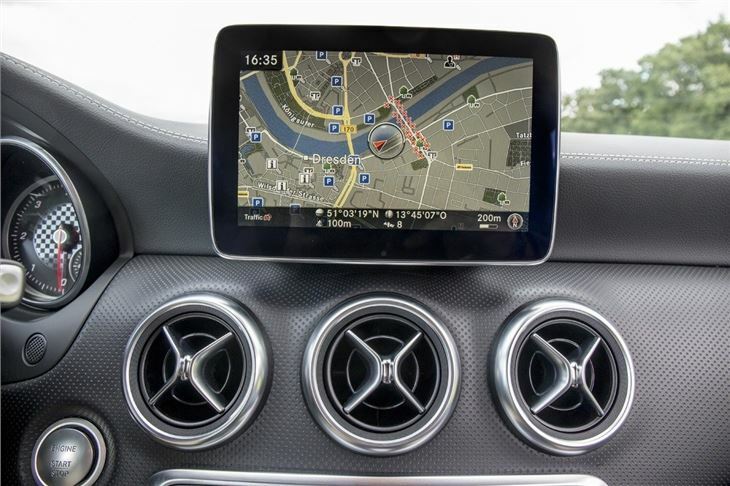 But, this being a Mercedes-Benz, you can at least be assured that it’s stuffed with safety kit, including automatic low-speed collision prevention braking, tiredness alert and seven airbags - plus you can optionally have lane keep and blind spot assistants too. Unfortunately, it's a lot easier to recommend the A-Class on paper than it is from behind the wheel. It's far from a poor car, but it never really shines anywhere tangible either - a problem exacerbated by its premium badge. Couple that to the fact it's very pricey to get the best from and the overall package remains slightly underwhelming. The revised Mercedes-Benz A-Class is on sale now.